When I decided to return to the trail after last year’s injury, I never realized how difficult it would be to get beyond Erwin, TN. Last year around this same time, Spirit and I hopped a ride from Miss Janet to the Jonhson City bus station. My trail days were over for 2015. Enter this year, Spirit, Whatever Works, Lambo and myself got on the trail +30 miles south of Devil Fork Gap. The place I had left the trail. This time we traveled past this location with a minimum of normal aches and pains. My husband was heading home from visiting his brother in the state of Virginia and I asked him to swing down to pick up gear we needed to unload ourselves of. Which he did. 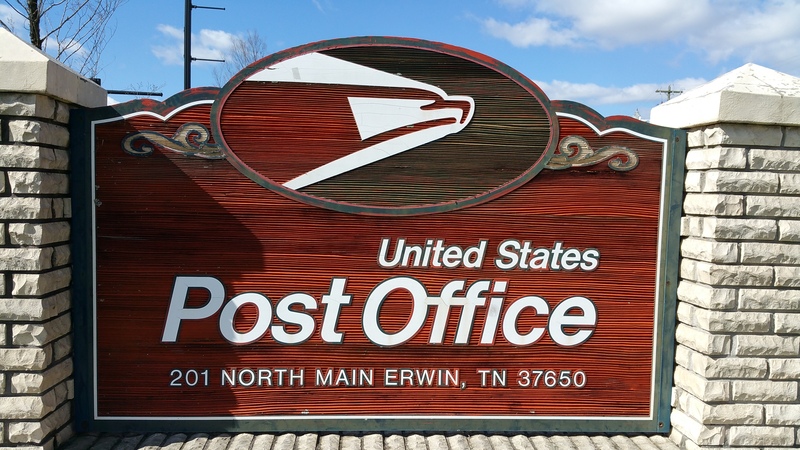 We went in to Erwin and got a hotel room in the late afternoon of April 6th. The weather has been cold, windy and at times wet. All things that we usually put up with, but one in our party had what we thought at the time was athlete’s foot. So, we tried a few things to try to heal the feet. Bleach baths, Braggs Apple Cider Vinegar, creams, the list goes on. I asked the Facebook group, Appalachian Trial Women’s Group who were all very helpful. As the days passed without improvement it was decided today that a visit to the Dr. was in order. Verdict-not athlete’s foot. No definite conclusion of cause. Though Dr. stated another hiker came off the trail with hands looking the same. So a steroid cream prescription was given and we hope this does the trick. 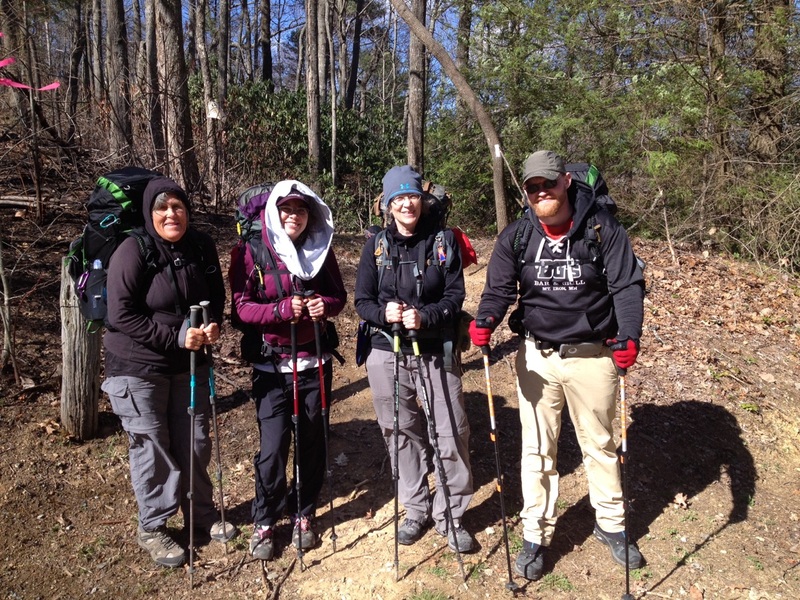 3 of us were able to slackpack yesterday from Sams Gap to Spivey Gap. It was a cold and sometimes windy day. The views where great as alway, but with one of our group down, it really didn’t feel the same. It was like last year. I would see something interesting, beautiful or amazing and have no one to share it with. 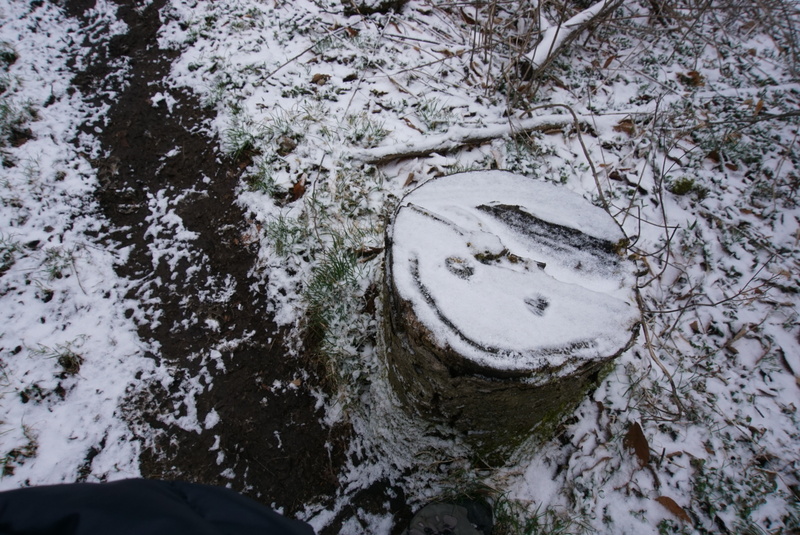 But what really helped the day feel doable, was that another hiker had taken the time and placed a simple symbol along the way in the snow. 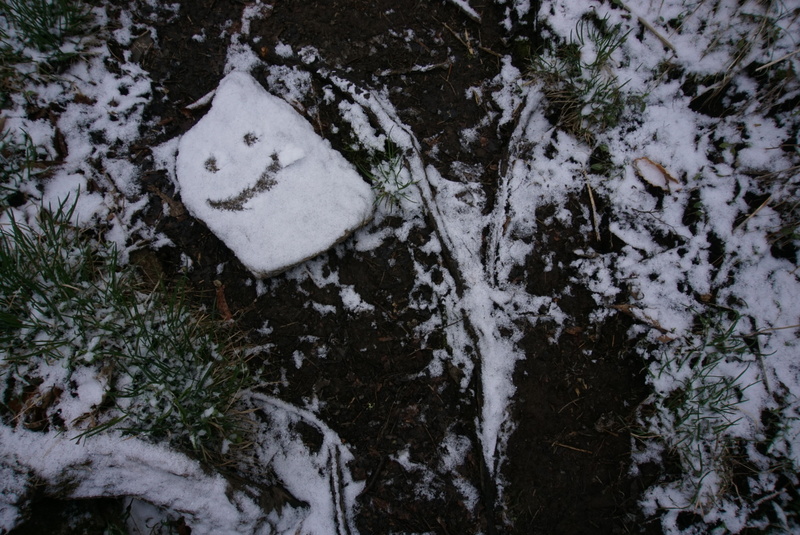 So, fellow hiker whoever you are, thank you for lifting my spirits. So, what does this article have to do with being in a Twilight Zone episode? Today was spent going to the clinic and hospital I had been in a year ago. 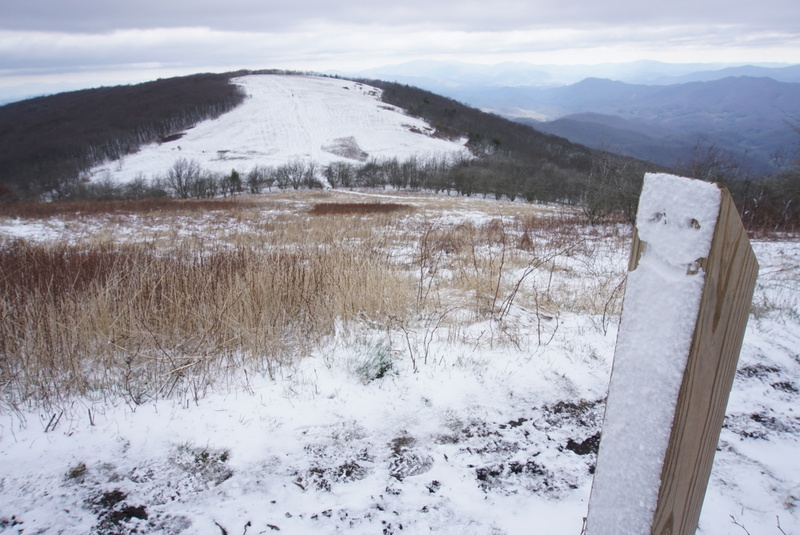 Tomorrow we go back on at Spivey Gap which once again leads us back to Erwin. Hmmm. All I’m saying is this. 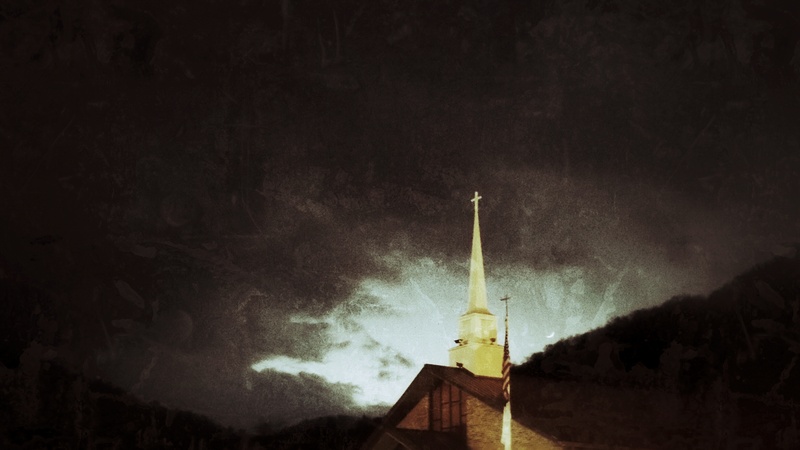 If I am still in Erwin, TN in the September, someone try and pull me out of this rabbit hole. I hope things start to pick up Sookie – I have every faith they will!! The snow looks beautiful – keep the pictures coming!! Thanks for the encouragement. It is much appreciated. Hope your foot heals up!! Seriously now. WTH was I thinking!?!?!!! !